...We're the class of '67! Milan High Class of '67 50th Reunion is a memory.... 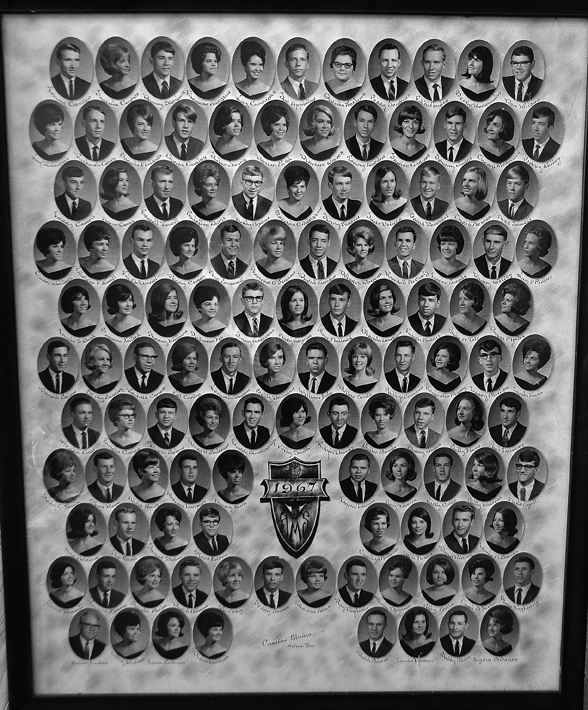 BUT we are having a 70th birthday party for the class of '67! Most of us are already 70 or turning 70 shortly. Click here to see pictures from our 50th reunion! We've lost contact with some of our class-mates! Click here to see if you know where some of these people are now. The BEST class Milan High ever saw! Click here to see a recent get together picture and the 40th picture with NAMES! Click here for some pictures from the 2011 meeting. Click the composite for a large version to print. Click the annual for some memories!